These words from the writing of Groff (1995) support Laban Movement Analysis (LMA) as a system that combines the psychological and physical aspects of movement. Within this system, the inner impulses that arise from feeling or psychological states manifest in recognisable physical qualities that Laban termed Efforts. This language of the Efforts is further broken down into singular Elements, that can be combined in various configurations called States and Drives. This workshop will involve an orientation and exploration into the language and key qualities of the Effort Elements and States. An enquiring approach will guide you through each embodied exploration: you will be invited to respond to the Effort Elements as an impetus for movement or speech. By allowing thoughts or feelings to emerge only from that stimulus, we may uncover, and work with, what we find to be the psychological parallels of particular Effort combinations. This process will be facilitated through individual and small group work and will offer participants time for sharing and reflection on their experiences of embodying Effort, and exploring the connection of inner and outer through an LMA lens. Jane Guthrie is a physiotherapist, dance movement therapist and Certified Movement Analyst. She spent most of her career adapting and using her dance movement therapy skills in physical rehabilitation, specialising in application with traumatic head injury. She is also experienced in pain management, application in permanent care hospital wards, day activity hospitals and centres, and with children with special needs. In her extensive work in physical rehabilitation, she used movement and dance activities drawn from LMA, to extend the expressive movement range of her patients. This usually started with an ‘outside in’ approach, as this was a more acceptable place to begin in these settings, while still working towards total involvement of the person. In particular, the Efforts were used with manipulation of the motion factors to assemble or reassemble the elements to increase the accessible movement qualities and expressive movement responses to match the outside and inside attitudes more closely. My own experience of moving from the East to the West has motivated a lifelong interest in integrating Western and Eastern based philosophy and practices. As part of this aspiration, I have developed a practice model of Embodied Presence/Mindfulness that draws on Bartenieff’s three dimensions and planes of movement. The model allows us to deconstruct and explore the movement elements of Embodied Presence within each of these dimensions: Vertical, Horizontal and Sagittal, corresponding to the dimensions of Self, Relationship and Action. This practice seeks to bring greater consciousness to how we align our inner presence in our relationships and our actions as a way to shape our relationships and increase agility in our decisions and actions. Broadly, this work explores how we foster our intuitive ability to use awareness to increase the level of moment-by-moment responsiveness and agility. This ability is at the core of much of our work in creative exploration, therapy as well as in broader work and life. This short workshop will provide a brief overview of the model and include an experiential movement exploration within each dimension of this model. Ranjit Bhagwandas has over 30 years’ experience in both Eastern and Western based practices. He has dedicated a lifelong study and practice to somatic based expressive, healing and transformative practices including: Dance, Dance Therapy, Meditation, Chinese Medicine; Feng Shui; and ‘Somatics and Creativity’. At the University of Melbourne he gained degrees in Science, Social Work, Dance and Movement, as well as a Masters in Education. His professional journey has included interpersonal counselling, University Lecturing and Organisational Consulting. Ranjit has a lifelong interest in integrating Western and Eastern based philosophy and practices that relate to creative exploration, therapy, healing as well as to broader work and life. Your body is part of the living, breathing land – the greater ecology of Place. Not separate, you are part of Wholeness itself. When we embody, that is, directly, consciously and viscerally encounter, an aspect of the landscape, we find its echo within our own interior. As we take the various aspects of the land into our soma, from bone-rock or through the wash of our own internal waterways, we find the resonance of our own terrain as felt, known, poetic space. We become an embodied ecology. When we move, when we dance, from this place, we are healed. Returned to our original vibrance and flow, to our cohesive sense of self. In this workshop, we will use photographic images as stimulus, together with anatomical and ecological imagery and metaphor. Through the practices of vocal sounding, breath, touch and movement improvisation, we will embody, anchor and express our sensations as explorations of the kinaesthetic, emotional and intuitive landscapes of the respiratory and fluid systems. You can expect to come away with new stimuli and fresh pathways of inquiry exploring the relationship of the body and its natural environment. Jean and Narelle have practiced sounding and moving together for years. Their teaching styles are complementary, sharing a breadth and a wealth of knowledge, while finding ways to articulate their unique skills to invite the extraordinary. Narelle Carter-Quinlan, BAppSc, is a dance improvisation artist, a Yoga Therapist specialising in Scoliosis and Spinal health, a Photographer and a Writer. Her images are a prayer to place; invoking the land where it echoes our own interior terrain. Through witnessing – taking into the body as felt, known experience – these images, a fundamental and authentic encounter of self in relationship with all things, emerges. The body, the organism, returns to its natural state of grace. Consciousness changes. Narelle has presented her work in embodying the ecology of Place, through image, yoga and dance, globally; in New York City, throughout Europe, in the UK, in New Zealand, and in her native Australia. Jean Tally Masters, DipT, BFA, is practicing dance and somatic artist. Arriving in Australia in 1980 Jean was invited to teach modern dance at the beginnings of Western Australia Academy of Performing Arts in Perth and QUT in 1990s. Her love of sound and moving began as needed, to teach dance classes, but became a unique focus of her original work from “Dance Essays: the thinking heart” (1985) to ongoing exploration of song, sound, words and dance throughout her practice for the next 30 years. For the past ten years her work has been focused toward integrating the diverse languages of self, via facilitating groups and exploring with individuals from broad and diverse backgrounds. This workshop is intended as an experiential process through which to deepen and explore aspects of Contact Improvisation through a Laban Movement Analysis perspective (Choreological Studies) and integrated by a somatic approach. The process uses a score to allow participants to explore the different phases of embodied movement relationships. Starting from the social concept of individuality and mutual support, The Scaffolding score seeks to explore a progressive journey where the participants will be divided into groups, where one person at the time will be focused upon and supported physically by the rest through their dance. This is explored by setting up a structure where the individual and the group as a whole are guided through different stages (the score). Invitation to the Dance: All participants are invited to take part in a journey to enrich their creativity and embodiment with a clear reference to the social component present in this movement choir. This work has potential to become a live performance; therefore through the workshop we will encounter the triadic perspective of creating, performing and appreciating. Openness, attention, intention, curiosity and respect are key elements to this process. Contents: This workshop is approached through Choreological Studies: the study of the logics of human movement applied in dance – Laban and beyond (Trinity Laban London). The Process considers and presents a methodology, which combines movement’s theory and practice. The Scaffolding is part of Debora di Centa’s research on human movement and cognition applied in dance and performance. In order to attend the workshop a willingness to experience aspects of Contact Improvisation Dance Form is required. Participants will be invited to experience weight sharing, bodily contact, being lifted, upside-down and improvisation. All levels of experience are welcome (beginner to professional expert). People with special needs might be accompanied by their carers (who will have to be involved within the activities). Debora di Centa – Dance Artist Debora di Centa started dancing in 1986. She has a Diploma A.I.D.A (La Scala di Milano, Italy) a Diploma in Dance Studies – DDC and a Specialist Diploma in Choreological Studies – SDCS at the Conservatoire of Music and Dance Trinity Laban, London. In Europe Debora studied and collaborated in the realization of dance works, researches and performances with R. Laban experts and many artists. Since 2015 Debora is based in Canberra ACT, pursuing her professional development around Australia, New Zealand and internationally. She teaches, performs, choreographs and directs dance events working for professionals and in community settings (Laban and Beyond, Contemporary Dance, Contact Improvisation and Creative Movement Practice). Canberra Dance Theatre CDT, Canberra Contact Improvisation and DFWB-Dance For Well Being Program at the Belconnen Arts Centre. Since 2016 she is leading the Canberra Contact Improvisation Community. Debora has closed 2017 directing her dance event Debora di Centa in December. She is currently working with filmmaker Louise Curham and colleague Natasha Cesco. Debora works through her personal project: ISEMS PROJECTS. What is it to be really human in public? Or is this only reserved for our private lives? Do we even want to be fully seen? And how do factors like class, culture, age, gender and religion affect this? Join LIPS and explore the moving life of a public space, the space of public life and the life in you as you inhabit the spaces we deem public. LIPS: Live in Public Spaces – taking-on being human in public! A site-specific improvisation duo and social research initiative by The WonderLab Project* – Melbourne based dance artists Camilla Maling and Ineke de Graaf. LIPS present their work and research over the past year and invite you to join them in shaking up how you might normally behave in public to discover the humanity that’s there. *The WonderLab Project (TWLP) – an enduring artistic duo mapping the moving thinking human, has been a key player in Camilla Maling and Ineke de Graaf’s art practice and process for the past five years. TWLP has produced various community-based works, events and access points to engage people in a conversation about how moving is fundamental to living, the marvel of the human being, the curiousness of how we behave and move, and the dance of this relationship. TWLPs latest works, LIPS – Live In Public Space and HumanHuman – A Podcast, are juicy channels to further this research. As improvisation performers, Camilla & Ineke’s nuanced attention to themselves and their environment reframes and offers possibilities to those who are watching to reconfigure space and reconsider their own experience and expression. Camilla and Ineke approach LIPS through the lens of their professional work as movement educators, as well as their backgrounds in journalism and anthropology. Ineke de Graaf is an Alexander Technique teacher and movement improviser. She has brought her love of experiential anatomy, improvisation and the principles of the Alexander Technique into her group classes and private sessions. She has worked with performers, pregnant women, people with chronic injuries, as well as helping clients find more constructive ways of moving at work and doing the things they love . She has run workshops on all sorts of topics from reconsidering ‘your core’ to walking freely. She conducts professional development for other movement educators and therapists. In her creative practice, Ineke enjoys improvising with musicians and dancers. She started Holler and Jump, a collaboration between music and dance improvisers in 2015. More recently she’s been ventures into disregarded public spaces with Camilla Maling to perform as LIPS. (Live in Public Spaces) Through The WonderLab Project, Ineke and Camilla have curated movement festivals, events and community dance projects. Camilla Maling, otherwise known as the Embodiment Inquisitor, is a multi-disciplinary movement educator, artist & consultant based in Melbourne. As educator and movement/sonic artist, Camilla works at the intersection of art and health to promote awareness of our elemental cellular intelligence as critical to our vitality, social intelligence and to environmental & social change. Camilla’s work synthesises several decades’ worth of research & professional development with leading practitioners from around the world in various movement/dance practices, embodied anatomy, yoga, improvisation and sound design. This extensive and diverse study followed an earlier career with Radio New Zealand as an arts journalist and radio documentary maker. Her career over the past 15 years has seen her teach small & large scale yoga & movement experiences to various communities. She has enjoyed; a diverse private practice in yoga/movement therapy & mentoring, work as an independent performance & sound artist and in collaborative endeavours such as Ginger In Orange. and The WonderLab Project. Camilla founded and directed The Yoga Lab – a pioneering Melbourne-based yoga & movement studio 2013-2016, and has recently consulted as a movement education specialist to Smiling Mind. Camilla’s current educational work Adventures In The Field™ is a foundational part of her new business, Live Particle. In dance movement therapy, embodiment is valued as both an important process and a desired outcome for clients. That is, dance movement therapists would consider clients’ access to deeper and richer sense of embodiment one important success indicator of therapy. Yet, practical methods for assessing client’s experience of embodiment are as yet underdeveloped. There are, as yet, no agreed measures for understanding and reporting clients’ changed experiences of embodiment, nor well-developed tools to gather data against such measures. This presentation invites a discussion on possibilities for assessment of embodiment in dance movement therapy. It introduces the Framework for Dance Movement Assessment (Dunphy & Mullane, 2018) devised to enable DM therapists to utilise shared measures and understandings of client progress. Participants will consider the appropriateness of measures currently contained within the Framework for their usefulness as indicators of embodiment. The session will include an experiential component, with participants exploring measures discussed in the session for their potential usefulness in individuals’ practice and the DMT profession as a whole. Dr Kim Dunphy is a Post-Doctoral Research Fellow at the Creative Arts Therapies Research Unit at the University of Melbourne, Australia, where she is exploring her interests in assessment and evaluation of DMT. She publishes widely on these topics, including an article in Arts in Psychotherapy on developing an iPad app for assessment in dance movement therapy. Kim has also been involved in developing technological products for evaluation and assessment, including Marking the Moves, the world’s first iPad app for dance movement therapy assessment, for which she received an award for innovation from the American Dance Therapy Association in 2015. Experience Jaye’s signature combination of Restorative Yoga and Somatic Meditation as she guides you to explore the embodied ecologies of deep rest. This workshop invites you to sink beneath the skin and embark on a journey of involution. You will be guided to explore the interior landscape of the body, to inhabit this somatic terrain and to enter into a state of deep listening. Residing within encourages a merging of body and mind that activates cellular consciousness and awakens embodied intelligence. RESTORATIVE YOGA is a gentle yet transformative yoga practice dedicated to the art of rest. It supports you to soften into the poses, reconnect with the earth and receive the flow of breath. SOMATIC MEDITATION (in stillness or in movement), is a practice of direct sensory engagement with the anatomical systems of the body. In Restorative Yoga, it elicits the key somatic shifts that allow rest to become truly restorative. Through sound and silence, rest and support, stillness and movement, Jaye will guide you towards a deep state of embodied being that is the basis for sustainable action. All bodies are welcome to participate. Please bring a blanket & a cushion. Artist. Dancer. Writer. Thinker. Teacher. Queer. Feminist. Spoonie. Somanaut. Imagineer. Jaye is a somatic movement artist, researcher and educator living with ME/CFS and working at the intersection of dance and disability, somatics and ecology, art and therapy. She teaches Restorative Yoga, Somatic Movement and Embodied Ecology at classes, workshops & retreats. Jaye is a determined snail who moves slowly and persists in her pursuit of embodied knowledge to empower herself and others living with chronic illness. Jaye has a BCA Hons in Dance, (Deakin University) and has also studied Dance Movement Therapy (IDTIA) and Laban Movement Psychology (CPA). She has been practicing yoga and meditation for more than 20 years and teaching for more than 10 years. She completed Iyengar Yoga teacher training, but her journey with chronic illness has led her to specialise in Restorative and Recovery Yoga. She has 14 years’ experience in Body-Mind Centering practice and is currently pursuing BMC Certification as a Somatic Movement Educator. Jaye is currently integrating her movement therapy training with a Masters in Creative Arts Therapy at MIECAT and writing a book about her unique somatic approach to restorative yoga. Spontaneous ‘neurogenic’ movement has been described as ‘the oldest medicine on earth’ and deliberately used by traditional cultures for health, wellbeing & spirituality for thousands of years. More recently, the deliberate use of therapeutic tremors is also being shown to play an important role in balancing the autonomic nervous system, releasing muscular tension, deepening embodiment, reducing pain, improving sleep, assisting with recovery, preventing injury and optimising natural movement patterns. By reframing the role and purpose of this natural re-organising movement reflex from a trauma-informed model of the body, TRE provides a simple but profound self-care technique that can be deliberately used in a safe & self-regulated way to support all kinds of movement & ‘re-embodiment’ practices and enhance the effects of other treatment modalities. As reflex movements have been shown to create greater contractile force than those achievable by conscious effort alone, and the reciprocal nature of the movements have a calming effect that increases coherence in brain waves and Heart Rate Variability, TRE offers one of the simplest yet most profound embodied practice of flow states to inspire creativity, free-up personal expression and optimise peak performance in all areas of life. Richmond Heath is a Physiotherapist, Pilates Instructor, Bowen Therapist and TRE Certification Trainer who introduced TRE to Australia in 2010. He is a pioneer in a trauma-informed model of the body and the use of neurogenic movement for embodiment, peak performance and restoring optimal movement patterns. He teaches TRE full-time via public workshops, professional trainings and online sessions and has also provided trauma recovery support workshops for survivors of the Black Saturday Bushfires in Victoria and the Christchurch Earthquake in New Zealand. With his background in both mental and physical health, Richmond presents a holistic model of the body, embodiment & neurogenic movement that is just as relevant to the general public as it is for performers, elite sports-people, body-based practitioners and movement & exercise teachers. Following some brief comments by panellists, there will be opportunity for small group discussion/reflection and harvesting of ideas from the whole group on what we have learnt about embodiment. Heather Hill has worked as a dance movement therapist since 1985, with many different groups, both in institutions and the community. She finally came to specialise in working with people with dementia which led to her doctoral studies in the broader area of person-centred care. From this she came to appreciate how much society ignores the importance of embodiment as being central to the human experience. This realisation led to her interest in applying the concept of embodiment as a mode of knowing and learning outside of the traditional therapy context. For instance, she has offered embodied experiences in her training work with aged care staff on person-centred practice. She has also used it in working with couples, where one partner has dementia, exploring ways to navigate the challenges to their couplehood. Her mission is to demonstrate that embodiment is relevant, not just to dancers and “body” people, but to all human beings. Contact Improvisation (CI) is an “off centre” duet dance form, which brings the dancer into an ever-changing relationship to self and other, in a co-created response to gravity, weight and momentum. The form asks the mind to be actively shifting awareness, while the body recognises and responds to the physical puzzle emerging relationally in each moment. The unavoidable and desired interaction with gravity and weight, however subtle or gross, asks the body and mind to expand awareness and perception. To keep the”rolling point” i.e. the dance, in play and alive, the mind needs to be fluid and flexible so the body is free to respond. When in relationship to gravity the thinking (instinctive) body is faster than the thinking (designing) mind. The mind must stay in a moving state of awareness rather than fixating on a plan or outcome (premeditated choreography), to allow the body to play in the unfolding dance. The dance is free to form itself in the moment while the dancer is free to enjoy the ride. The “point of contact” is a place of inter-subjective dialogue, where each dancer offers and receives the impulses and imaginings of the shared body. The improvisation component of the form allows each body to make its own choices, allowing and accepting the individual’s physical capabilities and possibilities. This unique combination allows CI to be experienced by diverse and varied bodies, regardless of age, experience or mobility. CI can be highly athletic or delicately sensitive and everything in between. In this workshop we will share and explore the fundamental principles of Contact Improvisation. We will start from the premise of “dancing with the body we’ve got”. Through a series of simple and accessible physical CI activities we will invite participants to delve into a broader sense of embodiment through explorations of connection to another, relating to gravity and sharing weight. Through relationship and connection to another body, dancers will explore: whole body “listening” and sensing, leaning into gravity, leaning into another (the feedback loop of awareness), resisting and yielding, sensing tone, sensing structure, accepting and offering support, fuelling and following the “rolling point”, leading and following or just allowing. Martin Hughes bio coming soon. Catherine Magill holds a Bachelor of Arts (Dance) and has over 30 years experience as a dance maker, teacher and performer. She has practiced CI for over 25 years and has danced, studied and taught in tertiary, community and special needs settings in Australia and abroad. Her teachers include Helen Clarke Lapin, State of Flux and Alice Cummins. In 2017 Catherine attended the Melbourne workshop with Bonnie Bainbridge Cohen and professional development series with Kim Sargent-Wishart. An active community builder Catherine has initiated and held the space for many CI classes, workshops and special events including the annual Australian Contact Improvisation Convergence. Catherine’s 20 plus years as a registered Pilates practitioner along with her experience in Body Mind Centering, Laban studies and contemporary dance training, support and inform her teaching practice. This paper investigates choreographed gesture in live performance as a provocation for new considerations of embodied language. To examine this idea, I draw on the complex gestural choreography employed in my 2017 theatre work ‘Earshot’. ‘Earshot’ is a live performance piece for two actors, one electroacoustic musician, and 250 metres of greywater hose. Built from eavesdropped and overheard conversations gathered from the general public, ‘Earshot’ employs live, pre-recorded and projected text, and an ingenious set design of speaking tubes made of PVC plastic pipe and funnels that snake through stage and audience. Using speech recognition software similar to the interfaces we use every day on our iPhone, like Siri or Dragon Dictation, and underpinned by a specific gestural language which is in constant and fluid relationship with the text(s), ‘Earshot’ offers a fly-on-the-wall insight into the lives of others: personal, epic, comic and sometimes devastating. ‘Earshot’ is one performance-maker’s attempt to create a felt confluence of body and word and sound and cognition. This paper examines the possibilities that arise when intersecting movement with, around, and beyond spoken word. It brings into focus the potency of seemingly incremental shifts in digital technologies which have profoundly influenced the way we are in the world. How might this affect the ways we form and manifest stories? In this workshop, participants will be introduced to the Solo-Social Continuum as a means of locating, articulating, and extending dancer-musician dialogue and interaction. The Solo-Social Continuum provides a clear and open framework for participants to unpack the terrain that exists between solo, duo, and social forms of embodiment and engagement. The Continuum offers a means for developing in-depth interaction and shared language in dancer-musician collaborations. This workshop will also focus dancer-dancer and musician-musician forms of engagement. The Solo-Social Continuum is informed by over twenty years collaboration with Butoh, BodyMind Centering, Body Weather, and Contemporary dance artists. The Continuum will be presented, fleshed out, explored through visual imagery, literature, questions, discussion, movement, sound, and provocation. Participants will explore the Solo-Social Continuum on their own, in one-on-one interaction, trios, and in larger group formations. The term Solo-Social Continuum is born out of 4 years intensive research into one aspect of the Continuum: the Assisted Solo. The Assisted Solo will be discussed and explored in detail during the workshop to help articulate the transition from solo to social forms of interaction. Participants will hopefully arrive at an embodied understanding of the Solo-Social Continuum, which will inform and strengthen their own practice. No previous or current dance or music experience is required to benefit from the workshop. Participants will be given practical tools and resources to continue exploring the Solo-Social Continuum in their own movement and music-making practice, as well as related fields of inquiry such as interpersonal relationships, education, and mindfulness practices. Do somatic practices encompass energy work? In diverse somatic practices and practices focusing on embodiment, we find a profound focus on the use and inter-relationship of the body and mind. In yoga and chi gong traditions there is a further approach to what is called emotional and energy bodies. This presentation will introduce the theory behind the emotional and energy bodies and how this feeds in and feeds back to the body and mind inter-relationship. The presentation will refer to the five elements from the chi gong tradition, and their interconnectedness with emotions as well as will refer to the Book “Heart’s Code: Tapping the Wisdom and Power of Our Heart Energy” by Paul Pearsall. The title of this presentation is inspired by the proposed title Thinking bodies: Moving Minds, by taking into account what chi gong tradition focuses on – to think with the heart and feel with the mind. An integration of Dance Improvisation with Chi Gong for enhancing and promoting embodiment, somatosensory perception and energy flow. This workshop will draw on some specific practices from the Embodied Unity philosophy, which is an integration of diverse styles of Dance, Chi Gong, Yoga and healing modalities for enhancing and promoting performance, dance, healing and a state of homeostasis to the self and community. Legakis will focus the workshop on a few simple Contact Improvisation exercises that he incorporates for relationship balance. We will thereafter apply this practice to a group context to create a unified and coherent group practice which can allow us to feel a state of interconnectedness and oneness. A focus will also be given to the dance practice Passing Through as a community practice and how this can facilitate a harmonious relationship and energy flow within the group. Legakis will introduce Improvisation methodologies inspired by different established pedagogues in dance. Vangelis Legakis is an international Dance Artist, Choreographer and producer of leading educational and cultural exchange projects across the world. He studied Dance Theatre and MA Choreography at Laban Centre in London, acquired a Masters of Buddhist Studies from Hong Kong University, and is currently undertaking a PhD by research at the VCA Melbourne University focusing on Embodiment and Mindfulness within dance, performance and improvisation. He undertook research on choreography and improvisation when visiting the Forsythe Company 2004-2013 and performed ‘Human Rights’ whilst with them. In 2010 he received a diploma to teach, spread and develop Flying Low and Passing Through given by David Zambrano, the founder of these dance styles. His work is influenced by famous dance artists, William Forsythe, Julyen Hamilton, David Zambrano, Gill Clarke, Rosemary Butcher and Rosalind Crisp. Legakis is also a therapist integrating diverse modalities within dance, having studied Reiki I, II, & Masters’ levels, Reflexology, Neuro-skeletal Re-Alignment, Deep Tissue and Holistic Massage. He also furthered his studies in Structural Energy Awakening Therapy – Thai Massage, Divine Healing Therapy, Integrative Biodynamic CranioSacral Therapy & Thanatology, Abdominal Massage and Tsi Nei Tsang. And as well, Kundalini Yoga and Chi Gong as well holding a Yoga Teachers’ Training certificate. Dance, and healing and spirituality, are two distinctive paths in his life. They form Embodied Unity – a philosophy and practice from dance and healing that he has been teaching in Europe, Latin America, Asia and Australia. This practice led research explored the nature of durational performances using a heuristic, self-as-artist approach, with a relationship to the spectator as a central consideration. It investigated multiple states of embodiment in the extended performance and explored how entrancement, gazing, drifting and inattentional blindness could be part of the affective experience. It focused on the corporeal as a site for understanding pre-coded body information, trauma, and one’s immanent desires. By using my own experience, I investigated the historical accumulation of coded information through the body’s memory, dreams and lived experiences. I located these as an embodied cultural mythos, the presence of which lies within the body. The solo performer was used as a conduit for somatic methodologies to collect materials based on chance discoveries for solo investigations, for collaboration, and for live durational performances. Performances of six, eight and twelve hours were drawn from the research, specifically crafted for an art gallery space, an adult nightclub a theatre space and a public festival, to explore the differences in engaging self and audience over extended periods of time. The arguments are based on the premise that a durational performance moves away from traditional time restraints and allows ‘time’ itself to be the actual experience. Theorist Elizabeth Behnke influenced discussions in this inquiry, with findings from psychologist Linda Holler and the references to one’s physical sensations influenced by neurologist Antonio Damasio. The questions asked are: What are the different qualities of durational art practice? And what are the differences between being embodied by something, or being captive to something? Christos Linou is a cross-disciplinary artist with three decades of work in dance, opera, theatre, film, and TV, and has performed in Australia, Singapore, Paris, Amsterdam, and Malaysia. He choreographed for IHOS Opera over 21-years with the featured works; ‘Days and Nights with Christ’ (1992) ‘Barbarians’ (2012). In 1994 he was one of the second waves of artist’s helping to establish Dancehouse, choreographing solo and group work, teaching contemporary dance and involved on the board and forums. In 1999 he co-developed Intertextual Bodies, shaping acts of body intervention in public spaces and the work ‘Act of Refusing to Dance’ was presented at the 2003 Melbourne Arts Festival. In 2013 he was awarded a scholarship at Melbourne University studying a Masters in Fine Arts (dance), researching durational performance. He developed ‘Naked Peel-12 hours later,’ which was performed in Melbourne, Amsterdam, and Malaysia. In 2015 he presented his research at the Singapore World Dance Alliance Symposium and graduated with first-class honours in 2016. The Marina Abramovic Institute (MAI) in New York recognised his work as ‘Highly original and deeply personal’ and published Naked Peel on ‘IMMATERIAL’, a digital journal for durational performance, and screened his work at the As One Festival in Athens. In this workshop, artist/educators Maling and Clarke explore the synergies between their work. Maling’s Adventures in the Field – a process of experiencing & mapping embodied intelligence – meets Clarke’s PhD Wild Life: The lived experience of artistic creativity, and a new artistic enterprise ‘Live Particle’ has emerged. Live Particle provides embodied education and resources for learning agility and personal sustainability to the tertiary sector & beyond. The Live Particle Way is an experiential multi-sensory learning practice informed by, and designed to coordinate with, the human organism. This quite literally is an organic process which develops live. Live Particle asks – what is it to consciously & actively learn as an integrated and fundamentally creative organism and how can humans fully cultivate the capacity to do so? By generating ‘live knowing’ through live performative events, learning resources and artisanship, Live Particle is geared for social change – creatively resourcing humans and fostering the conditions to thrive. Angela Clarke is a Melbourne based, multi-disciplinary artist/educator & researcher who uses embodiment practices to create performance work and to foster experiential learning environments for her students. As a theatre maker & singer/songwriter, she is committed to excellence in tertiary education and creative practice and has led multiple large-scale educational and creative projects across creative disciplines at RMIT University. Angela is a classically trained singer who has worked collaboratively with a range of artists and musicians over the past couple of decades. Her original music with Civil Tongues and Luminate Ensemble blurs the lines between high art and popular culture by encompassing both operatic and everyday vocal sounds. Inspired by immersive ontologies, Angela works in the field of performance philosophy and explores the fundamentally creative tendencies of life. Recent original live works include ‘Imagine This …’ at Abbostford Convent and The Last Ovum at Melbourne Fringe Festival. Whakawhanaungatanga is a word from the Maori language that broadly translates to a kinship, a sense of familial connection through shared experience, a sense of belonging that serves to strengthen each member of the kin group. Working as a DMT in Northland New Zealand with a high Maori population, an understanding of culturally attuned frameworks has been important for my practice. Te Whare Tapa Wha (Durie, 1998) is a health model developed for Maori by Maori (Manna, 2002), yet it holds the universal themes of verbal and non-verbal expression, holism and interconnection that parallel many of the underpinnings of creative-expressive therapy. Here is another view of what embodiment may mean. Yet I am challenged. Does my understanding of embodiment really cross cultural divides? How much does culture and language influence my belief of what embodied living and healing may look like? Can I really understand another’s culture without a felt-sense and movement of where it lives in my own body? Can DMT be a key component to cultural understanding and learning? Can this component influence our models of practice working at places where cultural diversity and human universality meet? This workshop invites you to explore these questions with me, both for yourself and as a collective dance therapy and somatic community. Using a framework of Te Whare Tapa Wha and the Halprin method, we will dance these questions and connections and allow our own cultural references and understandings to emerge within them. This workshop will be especially valuable to those working in culturally diverse settings. Durie, M. (1998). Whaiora: Maori Health Development. (2nd ed). Auckland: Oxford University Press. Jan McConnell, DTAA (Prof), MAAT, PGDip HSc, PNZ is an Arts Therapist, Dance Movement Therapist and Physiotherapist based in Northland New Zealand. She holds a Masters of Arts Therapy with a special interest in integrative dance therapy. Areas of specialty include community mental health, child development, disability and care of the elderly/dementia/palliative care. She is interested in the development of dance movement therapy in Aotearoa, particularly the exploration of Te Ao Maori and its integration with dance movement therapy to provide relevant practice models to the groups and populations she works with. She believes DMT has the capacity to hold a space that honors diverse religious, cultural and spiritual beliefs and as such can become a practice for peace making and peace keeping. She is of Scottish, Irish and English decent and identifies with Nagti Kahu though her children. She and her family are humble learners of Te Reo. As a European New Zealander working and living within an assumed integrated cultural framework she has found that learning Te Reo, a symbolic, rich and embodied language, has influenced her understanding and practice as a DMT. Proponents of embodiment refute the mind/ body binary by proposing an integrated physical, mental and emotional being that dwells dynamically in its environment (Johnson, 2007). Dance academic and philosopher Sheets-Johnstone (1998) suggests that movement is a unique enabler of embodiment. She offers that through movement, attention can be paid to “tactile-kinaesthetic ways of knowing” and making sense of experience (p. 137) which she encapsulates in the term “moving intelligence” (p. 489). Research methodologies sensitive to the notion of embodiment fittingly bring the body into the centre of inquiry where emphasis is given to knowledge gleaned by the body, about the body. But whose body is included in these processes? By what means is knowledge generated and whose knowledge is it? What kind of knowledge arises from this approach and how may this be made known to those interested? This workshop offers participants a tactile-kinaesthetic exploration of an embodied methodological approach to research. Working in small groups, participants will devise ways of bringing their collective moving intelligence to an assigned “research topic”, that incorporates engagement of the research participants’ bodies as well as their own bodies as researchers. Consideration will be given to the kind of awareness that might arise from these processes and for whom; how as researchers they may best present this awareness to others; and what requirements seem necessary for those interested in undertaking this kind of methodological approach. Some examples of embodied methodology practice will illustrate the experiential, taken from the presenter’s PhD research (Deakin University) inquiring into shared improvised movement practice for personal and social knowing. As practitioners we must ask ourselves – what is it that compels clients to return and how can we get new clients to open up to embodiment? How can we carefully and cleverly incorporate and combine aspects of DanceMovement Therapy, Laban Movement Analysis and Developmental Movement into our sessions with clients? Can we use these tools as a framework for assisting in the collection of non-verbal information and for communicating observation of movement and emotion subtly to improve health outcomes? The challenging aspect for those of us working clinically is how to communicate what it is that we actually do through our embodied movement work. This presentation will take participants through an experiential that is both accessible to the general public and one that can be incorporated into a range of movement settings. The aim is to provide potential for clients to experience a pyscho-dynamic therapeutic outcome by bringing Somatics and Movement Therapy into sessions with clients who don’t necessarily arrive for their appointment seeking these modalities. A reflection on the meeting of Dance Movement Therapy and Jungian Analysis in practice. As a Jungian Analyst much of my work is listening to the unconscious as revealed in the dreams of clients. As a DMT my curiosity is always sparked when people bring dreams of dance. Weaving together awareness of psyche and matter, body and soul, the rational and irrational, this presentation will look at some different ways Dance is seen in dreams – exploring what this might mean for the individual dreamers, and as an archetypal image more generally. We will also reflect on the way in which giving dream images form through movement can bring deep connection to the symbolic language of psyche or soul. Mary Rose Nicol, Dance Movement Therapist (DTAA prof. DMT), Jungian Analyst (AGAP, IAAP), feels she was very fortunate to have the opportunity to undertake training as a Jungian Analyst through ISAPZurich in Switzerland. She graduated recently in May 2017, following many years of interest in Jungian Psychology. 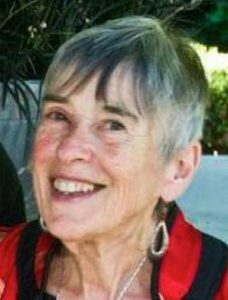 Prior to this her experiences included training and working at The Living Water Center in NSW in the 1980’s -90’s – an experiential program encompassing many different psychotherapeutic, philosophical and spiritual traditions including the work of Groff, Jung, Perls, Wilber, Gurdjieff, and Reich. A love of movement and dance (particularly Authentic Movement) led to the Dance Movement Therapy program in the Visual and Performance Arts Grad. Dip. course at RMIT (2004). She holds a Ma. Social Science, (Counselling), and has a background in General Nursing, Midwifery, and Maternal and Child Health Nursing. She is in private practice and work sin Ballarat and Fairfield. Embodiment suggests a certain kind of permanency, an encoding that stays, an etching or groove. It aids memory by supplying automatic functions built by individuals over time as they learn to reach, grasp, balance, transfer weight and complete simple tasks. It helps us refine and layer our movements, add complexity or multitask. This 90-minute, gentle, movement-based workshop explores the returning, mature aged dancer’s reconciliation of early embodied experience with a body altered by time and experience. 5. What approaches a dance facilitator might use to ensure positive engagement with dance on many levels: as an art form, as an expression of self, community or culture, and as a physical and intellectual challenge. 7. The significance of touch when working with older populations. Dr Katrina Rank is Director of Education, Training and Life Long Learning, Ausdance Victoria, the peak body and subject association for Dance in the state. She is a practicing educator and dance artist, contributing to national and international movement education programs, in schools, community and across all ages and abilities. Katrina graduated from the Australian Ballet School in 1984 and performed professionally in Australia and in the UK, with The Dancers Company, The Australian Ballet, Northern Ballet Theatre (UK) and Victorian State Opera as well as independent contemporary dance artists. Katrina is a registered teacher with a Bachelor of Education and completed a PHD, Contemporary Arts (Dance) from Deakin University in 2001. Her current focus is on Dance for Mature Bodies and Dance for Health. She delivers ongoing dance programs within Aged Care, to people with Parkinson’s disease and works with community in the City of Whittlesea. In 2013, Katrina established Fine Lines, unique weekly contemporary dance classes for mature participants with previous experience. Her recent creative work includes the installation Paper Palaces (2018), the film Stupendous, Dancing Through Parkinson’s (2018), live work: Tales of the Pebbleverse (2017), live work: My Body is an Etching (2017), Mean Feat Dance Film Project (2015). Katrina has received numerous awards including the Caroline Plummer Fellowship (Otago University, Dunedin, New Zealand) and artist residencies. She has been nominated for a 2018 Australian Dance Award for Services to Dance Education. I am an artist researcher, dancer, and maker of live performance. This theoretical presentation is centred around a term which emerged during my PhD research into embodiment and the making of solo performances of improvised dance choreography – somatic attentiveness. Somatic attentiveness refers to being actively engaged in each moment to the experience of being a mindful body. It refers to qualitative experiences of one’s own specific body-hood, including experiences of movement, kinaesthesia, and experiences of the associated or independent sensations, and or affects. Since 2005 my practice-led research has been centred around ways and means into embodiment, as the basis for making live performances of improvised contemporary dance. With my ongoing artistic research, I continue to explore conceptualisations that foster productive links between my dance performance making and my body’s specific and changing conditions. Somatic attentiveness links to values such as human development, and social responsibility. These links enable me to call into question the socio-political agency of such performance making as my own. I explore the notion that the consistent application of somatic attentiveness provides a sense of continuity between experiences of movement associated with personal, political, cultural, social, and academic actions. A theme therefore of this presentation is that the personal, the social, the cultural, the political, and the academic are enmeshed. No one precedes the other. This presentation will detail my understanding of the term somatic attentiveness; it will also describe how actively employing somatic attentiveness in a performance making context has affected my understanding of what it means to genuinely be able to be socially responsible. Phenomenology as a philosophical approach positions lived experience, and the body, centrally. My research has been significantly supported and furthered through exposure to materials from this field. The work of philosophers such as Maurice Merleau-Ponty, Maxine Sheets-Johnstone, Philipa Rothfield, Elizabeth Behnke and others in response to Husserlian Phenomenology has informed my work. Perspectives which have guided my inquiries have also come from autoethnography, dance theory and performance theory, through the work of theorists and philosophers including Carolyn Ellis, Bojana Cvejić, Danielle Goldman, Susan Leigh Foster and Ann Cooper Albright. Paul Roberts is a clown, dancer and artist from Australia. He did his PhD (Dance) at Melbourne University entitled “An unfinished mindful body meets live choreographies of solo dance”. The Ecole Philippe Gaulier in London, and the de Bont school for Clowns in Ibiza. Paul and dancer David Corbet co-founded a contemporary dance company Two Suits, which existed till 2003. Between 2000 and 2009 Paul worked with Australian street theatre company Strange Fruit co-devising and performing large-scale street theatre installations. He performed with Strange Fruit across Western and Eastern Europe, in North America, Mexico, Venezuela, Japan, South Korea, Singapore and Hong Kong. Paul received a Masters degree in 2010 for research into contemporary performance combining dance and clown. During 2012-2017 he was the recipient of an Australian Post Graduate Award, and in 2017 he graduated with a PhD from Melbourne University. His PhD research investigated live improvised street performances of solo contemporary dance. In this experiential workshop, participants will be introduced to embodied anatomy and physiology of the eyes, along with contemplative arts practices designed to awaken the sense of seeing. Using a Body-Mind Centering® approach and methodology of visualization, somatization, and embodiment, participants will explore the eye muscles, fluids, fatty tissue support, the process of visual image reception, and blind spots. This somatic exploration will then extend into exercises from contemplative arts practices – inspired primarily from Shambhala Arts and contemplative photography traditions – to invite fresh experiences of perceiving the visual field. These practices can support the development of creativity and awareness through seeing what is usually overlooked – discovering patterns, ‘found’ compositions and everyday beauty – while also being restorative and restful for the eyes. Kim Sargent-Wishart (RSME, PhD) is an artist, researcher and educator specializing in somatic movement methodologies, creative development and leadership, embodiment, presence, perceptual processes, and the art of the everyday. She has a BA (hons) in Dance from Wesleyan University, and a PhD in Performance Studies from Victoria University. She is a certified practitioner of Body-Mind Centering and a Registered Somatic Movement Educator (ISMETA). Kim has taught movement education with a focus on Pilates since the early 1990s in San Francisco, and before that trained as a massage therapist and bodyworker. For over 20 years Kim has been a student of the Tibetan Buddhist tradition, mainly through Shambhala International in the Bay Area and Melbourne, and at the Vajrayana Foundation in California. As an artist, she is active in the practices of Miksang-inspired photography, experimental video, screendance, pedestrian dance and dance/movement improvisation. More information at kimsargentwishart.com, or contact Kim at kimsargentwishart@gmail.com. An experiential movement exploration to turn your muscles on. Discover easeful action and flow through space. Feel your shape in space through the muscle connective tissue container. Feel the elasticity of your muscles that condense and expand, providing mobility and stability. Feel the interaction of muscles and bones, the dynamic system of suspension and power that levers your bones to propel you through space. Muscles work together, and there are a lot them. Muscles make up approximately 50% of your body weight. If they work against each other there is no movement. Consider the small muscles in the palm of your hands that support reaching; muscles of the face, creating expression and activating the sense organs; muscles of respiration between your ribs that support breath; muscles that connect ribs to pelvis and pelvis to spine, bridging top and bottom halves of the body; the long muscles that connect your hips to your legs that support locomotion, moving you from place to place; the layers of muscles in your feet, setting the tone for verticality. Experience your own capacity for action, gentle power, and structural integrity through the muscles system. Suze Smith is a Theatre Maker, Director, and Dance Artist working in community engagement contexts to create live performance. In her artistic practice, she cultivates spaces of reciprocity and exchange. She is an adventurer and story teller, expressing the bold, the bitter and the beautiful of life. Recent directing/devising credits include Secret Places of Childhood with emerging physical theatre ensemble Temporary Relief, and Risky Business with Quippings Disability Unleashed. Suze is a Physical Theatre Trainer with the Women’s Circus, and teaches independent experiential anatomy and movement improvisation classes. Suze is currently studying Body-Mind Centering® Somatic Movement Education with Moveus in Germany and is a first-year osteopathic student at Southern Cross University. This participatory workshop demonstrates an approach to working with tenderness and clarity around trauma, with an emphasis on appealing to systemic support systems via a multi-sensory approach. In creating participatory process with people who have experienced trauma, I do not focus on a trauma narrative. However, if trauma is present, it needs to be held—if you like, the ‘silent partner’ in a process. Working with human potential embraces embodied complexities, which include both trauma and joy. For traumatised individuals, even joy can be problematic: learning to reincorporate joy can be a major part of restoring systemic resilience. This workshop uses multi-sensory modalities and mind-body processes. In the session, I will refer to the work of psychologist Stephen Porges; biologist Charles Birch; Spinoza’s concept of ‘joy’; the sensory development work of Entelechy.org [Deptford, UK] in nursing homes and with people with profound and complex needs, and my own BodyEcology practice. Zsuzsi Soboslay (BA Hons; A.Mus.A., L.T.C.L.) is a theatre creator, writer, dance ecologist and bodywork therapist, currently completing a PhD titled ‘The Ethics of Care’ via Monash University. She has worked in applied theatre contexts in London and Australia and in a project connected with the Royal Commission into Institutional Abuse of Children in Australia. She has taught movement in the disabilities sector and is currently initiating a long-term project with refugee groups. She has received Australia Council sponsorship (2015 & 2017) to work and present in the UK. Publications include Performance Research Journal, Writings on Dance, and over 300 reviews across the arts for www.realtimearts.org. Her immersive, participatory work Anthems and Angels: The Compassion Plays (on the experience of exile) is being re-configured throughout 2018-19. Jan’s personal journey from an ‘on the couch’ psychiatrist to develop a more somatically oriented approach with her patients, by leading them into body awareness and movement, is described in her presentation. In her personal journey to find the meaning of embodiment she undertook many related body movement trainings and a wide range of personal pursuits as described in her bio. She goes on to expand on what it has meant to her to find the meaning of embodiment and how this has altered her professional practice and the way that she interacts with her patients. She describes this difference and how now being more embodied herself has changed her interactions and resonance with her patients. She illustrates this with an example of how her new focus on body and movement is used in the consulting room and involves the participants in some experientially movement based activities that she uses – now very much a part of her ‘…to floor’ professional approach. Dr Jan Stevenson (MBBS, FRANZCP) studied medicine and followed this by qualifying as a psychiatrist in 1986. Since then she has practiced psychodynamically oriented psychotherapy with a wide range of patients in private practice. Then, five years ago, she began training in Sensorimotor Psychotherapy which led her to develop a passionate interest in other trainings and personal development for herself in embodiment. Following her Sensorimotor Psychotherapy training, she went on to other trainings which included PACT (Psychobiological Approach to Couples Therapy), Restorative Movement Psychotherapy (Amber Gray’s trauma work), H.E.A.R.T (Hakomi Embodied and Relational Training). Her personal developments over that period of time also included attending numerous workshops in pursuits that helped her to become more embodied herself. These involved taking up yoga, meditation, chi qong, improvisational dance, BMC, Authentic Movement, CranioSacral, Hakomi and as well, learning to sing and join a choir. Being in touch with her own body and finding her own voice has created a different resonance and connection with her patients in the course of therapy. Embodying extreme weather: How might site-specific somatic practices offer insights in an era of climate change? Using Body Weather as a lead example and drawing more broadly on dance and performance practices in relation to environments/sites/places, this paper will discuss how such practices might offer insights at this crucial and precarious time. Jane Bennett suggests that the conceptualization of matter as inanimate may be impeding the emergence of ecological and more materially sustainable modes of production and consumption. She therefore advocates ‘more intelligent and sustainable engagements with vibrant matter and lively things’ (2010). Site-specific dance and performance practices might aim to facilitate such ‘lively engagements’ through performance. The paper will unpack the complexity of ‘just being there’ in site-based performance from the embodied perspective of both performer and audience. Taking audiences to a site where performers activate their senses in various ways, can bring audiences to an increased appreciation of the place’s ecological (and cultural, political, historical, etc.) layers. Just being present, in a place, paying attention, gives audience members an opportunity to have subjective, personal experiences of that place, which are rare for many people in today’s world. Links from the close-range relationship of an audience member to the specific site of performance, to the meta ‘site’ of human relationships to global ecosystems in dramatic change may seem a leap, but as Bennett and others have suggested, these kinds of engagements may be key to a reconceptualization of matter. The paper postulates that performative activation of places and (re-)sensitising of audience/ participants to their surrounding environments can decenter the role of performer, which could conceptually extrapolate to repositioning the human in relation to the environment. It also acknowledges the particularity of place/site-based performance work in the Australian postcolonial context, which is already a dense and uncanny space to embody, further complicated by the instability of place precipitated by climate change. Gretel Taylor creates performances and other artworks, which are often site-responsive and activate decolonizing and ecological themes. She works as a freelance artist, curator, dancer, researcher and teacher. Gretel’s PhD explored relationships between place, body and identity in postcolonial Australia through site-specific performance (Victoria University, 2008). As Artist/Research Fellow at University of Melbourne on ARC Discovery Project, ‘Challenging Stigma’ (led by sociologist Deborah Warr), Gretel facilitated collaborative art projects exploring place-based issues with diverse residents of neighbourhoods in Wyndham, Victoria, and outer suburbs of Hobart (2014-2017). Gretel is a co-founder and key artist of Environmental Performance Authority (EPA). She is currently working with a Deakin University Dance team on a project about identity and place with Indian diasporic communities, as well as curating a live art exhibition, Force of Nature, at Yarra Ranges Regional Museum (opening September 2018). As movers, we ask the question: What is it like to embody gender stereotypes, and then to find our own unique expression? After all, there are dozens of genders, outside of just man or just woman, that people can identify with. During this session, participants will be guided in an embodied exploration and expression of what gender means or doesn’t mean for each of us. Using Open Floor movement principles, an enlivening musical score, and props, we will explore the fringes of gender and gender norms. Physical props like flowing skirts are just one way we can explore an expanded movement repertoire. By allowing the fabric to become an extension of our body we can invite ourselves to move in new and exciting ways. This session will be a just small taste of the ongoing work that Jo Woods and Sarah Winter offer through their ‘Gender Bender’ classes/workshops. This work is suitable for every body, of every type, of every age and would interest anyone who has questioned the traditional Feminine and Masculine binary stereotypes. It is not a workshop about sexuality, rather and embodied exploration of gender norms, and not norms. Sarah and Jo are passionate about using Movement as Medicine and working with diverse populations. Not only do they believe in the healing power of the arts but they believe in anchoring that knowing with integrative practices that help to build more robust pathways to becoming fuller, more alive, emotionally intelligent human beings. Sarah Winter has a Masters in Therapeutic Arts Practice, is an Open Floor Movement Teacher, and an Open Floor Therapy in Motion Trainee. She is passionate about bringing the benefits of Art Therapy, Dance and Movement Therapy to diverse populations and her local community. She believes that creative expression and embodied practice can have a profound effect on personal growth and well being. Sarah co-created Artful Awareness with Jo Woods, which is a fusion of Dance, Art Therapy and Mindfulness classes/workshops to a range of diverse populations. Sarah offers art therapy groups, dance and movement classes, individual therapeutic work, and community projects in the Yarra Ranges and Melbourne’s East. She coordinates a weekly conscious dance class in Belgrave (Dance In The Hills). She has a special interest in working with Carers, and with adults and children with Autism/Aspergers. Sarah is passionate about using Movement as Medicine and working with diverse populations. Not only does she believe in the healing power of the Arts but believes in anchoring that knowing with integrative practices that help to build more robust pathways to becoming fuller, more alive, emotionally intelligent human beings. Jo Woods is a Catalytic Open Floor Movement Teacher, Music Maker, Writer and Shapeshifter with over 20 years of Mindfulness practice (Vipassana, Mahasi Tradition). Working with Sarah Winter she co-created Artful Awareness, and together they offer a fusion of Dance, Art Therapy and Mindfulness classes/workshops to a range of diverse populations. Using Open Floor movement resources and beautifully crafted soundscapes, Jo provides wildly creative opportunities for embodied exploration and expression. She both teaches & co-ordinates for ‘Dance in the Hills’ in Belgrave. She produces workshops and trainings for Open Floor International and created the body of work that is Gender Bender. ‘Gender Bender’ emerged after many years of movement practice, mindfulness practice & creative gender norm exploration. Jo has shared this dynamic body of work with the Yarra Ranges Council, the youth group ‘Rise Up’ and she facilitates closed groups for adults. In this engaging, interactive and dynamic session, Dr Gary Wohlman, the creator of The Wohlman Method for the Whole Person, will demonstrate how to swiftly and powerfully encode renewing self-talk in the muscle memory by speaking, whispering and singing affirmations in rhyme, like Dr Seuss, while stretching the corresponding muscles at the same time. In Karaoke style, Dr Gary will lead all attendees to vocalise and embody these rhyming affirmations while integrating breath, sound, movement, and visualisation – thereby stretching the bodies and the minds of all those present. In these sessions, Dr Gary whimsically transports people on an inner journey through their self-talk, swiftly transforming people’s relationships to their bodies, partners, communication, creativity and contribution to humanity. It’s powerful and magical work. His revolutionary method of freeing physical tensions, stored emotions and liberating full self-expression has received government endorsement and accreditation from the Department of Employment & Training in Australia. Short courses in the “Wohlman Method for the Whole Person” training programs are available for developing holistic practitioners. As a psychologist and a dancemovement therapist my psychotherapy work has focussed on accessing the wisdom of the body to change the mind and habitual responses that cause distress. Somatic psychotherapy research and therapy processes offer methodologies to holistically access the nervous system through the body, and offer relief, and new ways of responding to the world and relationships. This presentation addresses how dancemovement therapy enhances somatic psychotherapy methods/processes in a clinical setting. The understanding of the body-mind connection, posture, gesture, body awareness, movement patterns and use of rhythm, supports the processing of trauma and shift in developmental patterns. Case studies from my psychology practice will be presented showing how dancemovement therapy processes support somatic psychotherapy methods, with a discussion on the latest neuroscience that supports both somatic psychotherapy and dancemovement therapy processes. How much are you really aware of your Body? When you are guided by yoga or dance teachers to ‘listen to your body’, or by therapists to say: ‘how do you sense that in your body’, do you sense what that means in your Body or are you using your mind to decide? Our mind is tricky and can lead us down habitual paths of responding. The body never lies, we can follow the Body’s way to know more deeply what we need. Learning to be aware of the Body, to truly listen to the response of the Body will guide us to greater ease, strength, and support. Inviting embodiment of our experience is to guide us to essentially what is needed for relaxation or action or release. In this workshop you will be guided to explore bringing awareness to the Body’s wisdom and playing with moving from that awareness to maintain comfort, ease, and stability, authentic expression, confidence and joy. My rationale is that it also offers me a large vocabulary of tools and knowledge from which to employ somatic methods. Body awareness, knowledge of the body and confidence in the information perceived through the body, greatly enhances somatic psychotherapy work. I believe offering therapists a conscious experience of their own and others’ ability to move from the body’s direction will enhance their ability to lead others somatically. Virginia Woods has a lifelong love of dance and has worked over 35 years in counselling and dance movement therapy to provide experiences to access health and wellbeing in body, mind and spirit. A registered psychologist and Certified Dance Movement Therapist, Virginia has also developed expertise in body image and somatic psychotherapy. She has completed the Hakomi Somatic Psychotherapy Professional Training, and Module 1 in Sensorimotor Psychotherapy with Trauma through the Sensorimotor Psychotherapy Institute, recognising the value in the latest neuroscience. She has also completed a Masters by Supervision in Expressive Arts Therapy. Recently she has been working in mental health in Private Practice and has offered counselling and group work in mental health hospitals, with a speciality in eating issues. Virginia has experience in offering dance therapy programs for a number of different organisations over the last 35 years and continues to develop and offer workshops and sessions on a professional and personal basis. She believes Dance-movement therapy has a lot to offer the growing field of somatic psychotherapy in its understanding of the value of the art of expression, not just in words but through the body. She believes that therapists who have good body awareness are more able to track their client’s embodied experience through their observations.